Google says the Pixel 2 XL is designed to be "radically helpful." Let's explore the whys and hows. What do you get in an $849 Google phone? Let's go hands on with Pixel 2 XL. 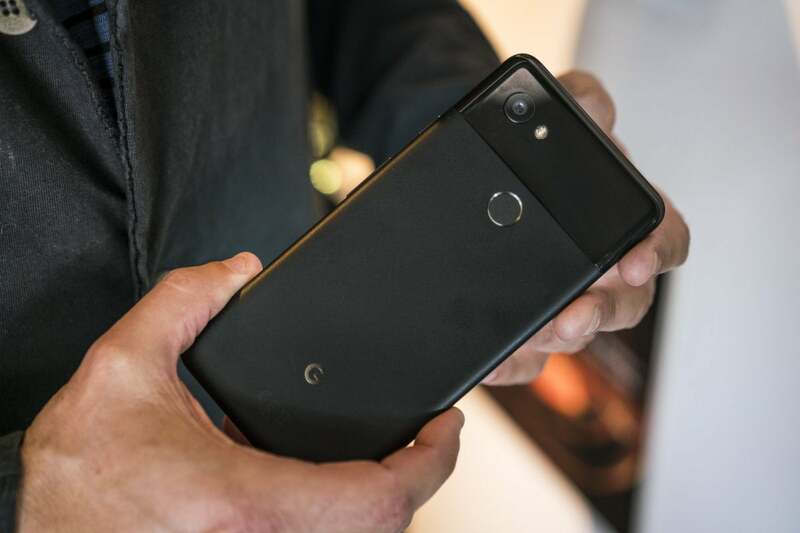 My gut reaction after 20 minutes of use: Google Pixel 2 XL, much like the original Pixel, is a sleeper phone. It may not seem like a powerhouse if you only glance at raw specs and components. It doesn’t come with a pen. It doesn’t boast dual cameras. It doesn’t have a stunning liquid metal exterior. 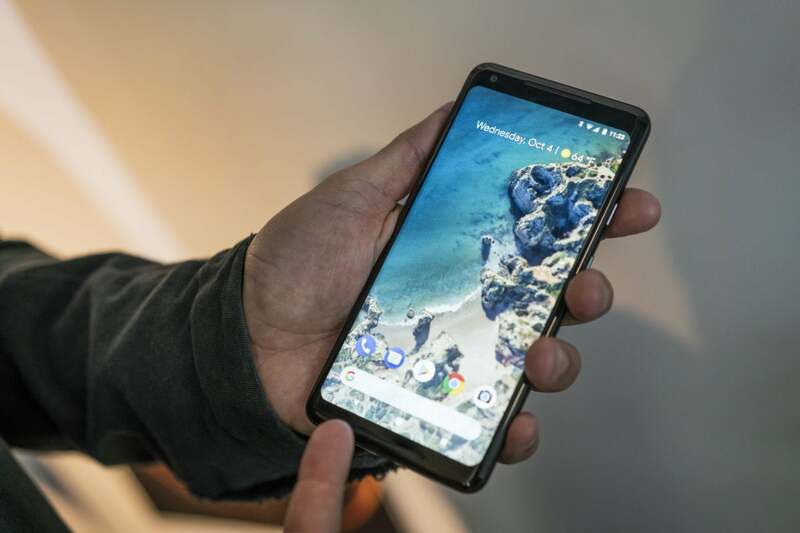 But once you hold the Pixel 2 XL in your hand, and begin playing with the features that Google has tuned with machine learning and clever interface design, you begin to appreciate the elegant marriage of hardware and software that Google is bringing to the entire “Made By Google” family. Sure, it’s still a super-spendy phone at $849. And as a happy Pixel XL user, I’m not sure I’d throw down so much money for an upgrade after only one year. But my first impressions are perched on my shoulder like a little cartoon devil, cajoling me, hectoring me: You know you want it. It’s calling your name. Get the damn phone. And here are five persuasive arguments that may help the little devil win. Google isn’t the first manufacturer to employ an 18:9 aspect ratio for its display—we first saw this ratio from Samsung and LG. But now Google is going with the tall-and-skinny approach too, and damn, it feels good in the hand. The glass "visor" at the top of the latest Pixel is smaller and better integrated with the phone's design. The 6-inch pOLED Quad HD display is a solid upgrade in its own right. I didn’t get to test it, but I’m especially interested in Google’s circular polarizer, which is supposed to make the display easier to read with sunglasses on. 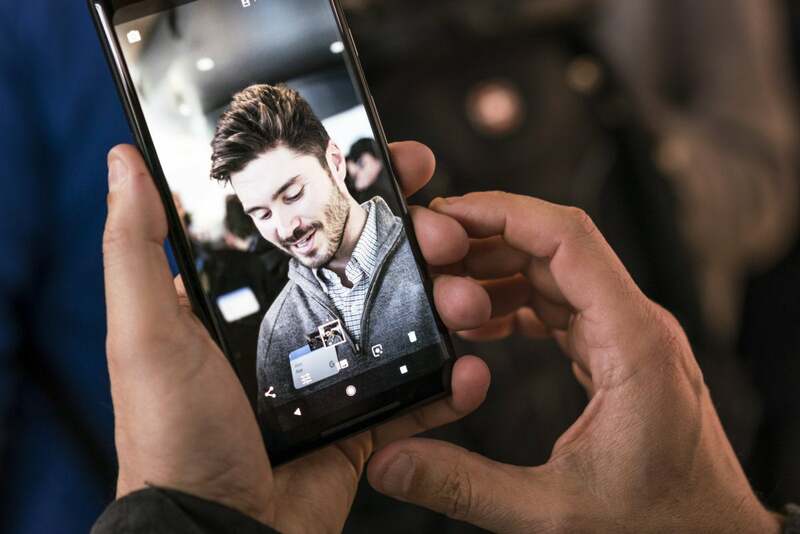 The smartphone camera testers at DxOMark have given the Pixel 2 camera a score of 98—the highest mobile score ever, and one that trounces the 94 scored by the Note 8 and iPhone 8 Plus. Now, we won’t be able to pass judgment on Google’s new camera until we test the phone ourselves. But I did get to play with Google’s new Portrait mode, and I was super-impressed with the background blur effect that Google is able to muster with just a single camera lens and machine-learning algorithms. Portrait mode is a simple option available in Google’s camera app. You focus the camera on a face or object, snap the shutter, and Google’s software takes care of the rest: The star of your photo stays in sharp focus, while background content is artistically blurred. Using just a single camera, Google's Portrait mode in the Pixel 2 delivers impressive results. Make no mistake, Google’s Portrait mode isn’t perfect. For example, it struggles with detail around human hair, just like you see with the Note 8 and iPhone 8 Plus. But when you consider that Google is using software—and not two physical cameras—to execute the trick, you have to give the engineers credit. Stay tuned for our camera test, because the Pixel 2 could be the smartphone camera of the year. At its I/O developers conference earlier this year, Google previewed Google Lens, a new machine-learning platform that uses your smartphone camera to tell you more about the world around you. Well, Google Lens is close to reaching fruition, and it will first appear as an exclusive on Pixel phones. The concept is pretty easy to grasp once you start seeing examples. For instance: Aim your Lens app at a printed email address, and that address will magically appear in Google Assistant, and from there you can add it to email apps. Or point your Lens camera at a building or statue, and machine learning will recognize the shape, and surface historical information on the landmark in Assistant. Or simply point Lens at a mysterious painting to learn more about the artist. Granted, Google Lens is coming to all Pixel phones, including last year's models, but if you don’t yet own a Pixel of any stripe, you may as well buy Pixel 2. I’ve really enjoyed my year with the original Pixel, and most of the good times have tied back to Google’s software experience. Besides just being crazy-fast and responsive, the Pixel user interface is simple, elegant, friendly, and even “radically helpful,” as Google likes to tout. For the Pixel 2, Google moved the search function to the bottom of the home screen—where people may use it. Now the interface is getting better. Google is ditching the squished-down Google search button at the top of the home screen, replacing it with a full-width search bar at the bottom of the screen. If nothing else, I’ll think I’ll start using basic search more often—instead of activating Assistant or opening a Chrome tab, which are quite different experiences. There’s also a new way to launch Google Assistant—by physically squeezing the “active edge” on the side of the Pixel 2’s case. It’s pretty much the same physical U.I. that we see on the HTC U11, and it’s quick, intuitive, and convenient. Google is adding an always-on display to its lock screen (finally). A new Now Playing feature gives you an always-listening, Shazam-like music identification engine directly on your lock screen. And a new At a Glance feature will show you calendar updates, traffic updates, and other updates at the top of your home screen. 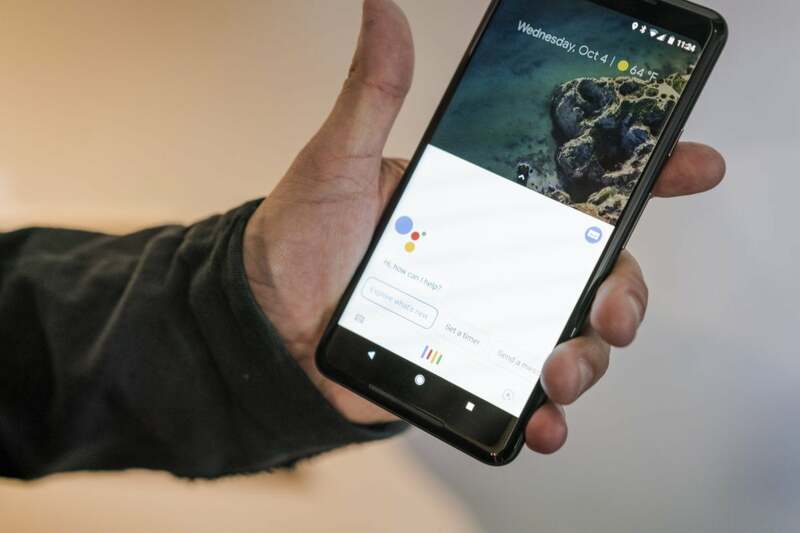 You can now launch Google Assistant by squeezing the Pixel 2 XL's active edge. Maybe I’m just inordinately impressed by simple, effective design (confession: Google’s weather widget is one of my favorite Pixel features of all). But my first impressions tell me Google has made some important changes to an already great user experience. If you own a Pixel phone, you get OS and security updates before any other phone in the Android universe. This is the way the world is supposed to work: Your software developer designs a new OS or releases a new security patch and you get it. Full stop. Given the horribly fractured state of Android software deployment—and, jeez, I’ve been using the word “fractured” for about five years now—this is reason alone to buy a Pixel phone. Google even says the Pixel 2 phones will get guaranteed software and security updates for three years, extending the two-year window promised for first-gen Pixel phones. To sum up, I’m jazzed. Now let’s see if all my hopes and dreams bear out during extended testing.